A handsome Nigerian man living in India has met a cruel death after he was reportedly stabbed to death by the girlfriend during a fight. The Nigerian man by name Chibueze was allegedly stabbed to death by the girlfriend. 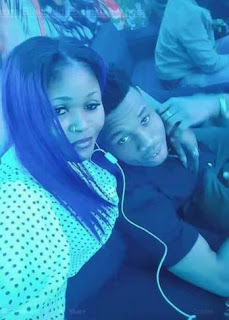 A young Nigerian man by name Chibueze has died a cruel death after he was reportedly stabbed to death by his girlfriend during an argument this morning in India. According to Blacgold Exclusive who shared the video and photos of the dead man, the suspect in question came to India where she fell in love with the victim. But, things didn’t go down well after an argument which made the girl use a knife to stab the young man. She could be seen in the video crying as she couldn’t believe what had happened.